It seems like the idea that the Apple Watch could one day non-invasively take glucose readings is a long way off from becoming a staple smartwatch feature. That's according to a report in the New York Times, which explores how the Watch could transform into a fully fledged health monitoring wearable. According to two people with knowledge of the project, Apple is continuing its research into noninvasive glucose readers, but industry experts said the technology to make it a possibility is still considered to be years away. The report also claims that research on the subject has been a few years in the works and was one of the features considered for the first generation Apple Watch. It seems that when the company saw what impact health tracking features like this would have on the watch size and battery life, it decided to alter its approach to building the wearable. That research apparently was authorised by Steve Jobs who was managing diabetes during the same time he was fighting pancreatic cancer according to people familiar with the events. Jobs was said to hate having to prick his finger to draw blood and gave the go ahead to start exploring how to put an end to the invasive method of generating a reading. We previously reported that Apple had hired a small team of biomedical engineers to build a non-invasive sensor for monitoring glucose levels, according to CNBC, and had even started clinical trials in the Bay Area, while working with consultants to navigate tricky health regulations. The report said that the project had been ongoing for at least five years, and as of a year ago had as many as 30 people on the team, reporting to Apple's senior vice president of hardware technologies, Johny Srouji. It goes on to state that Apple's non-invasive technique would use optical sensors to shine through the skin and read blood sugar level - the Apple Watch being the most likely vessel for this technology. But here's the thing: non-invasive glucose tracking is yet to be proven as a viable alternative to existing methods. As we recently explored, continuous trackers require a sensor to be put under the skin - and still demand fingerstick readings to calibrate. There are other routes being taken: we also spoke to engineers at Oregon State University who have created a contact lens that they claim will be able to predict glucose levels with tear fluid as accurately as a finger prick. Google has been working on something similar, though last we heard it had been put on hold. More than 29 million people in the US suffer from diabetes, and many struggle to keep the condition in balance. "On average a lot of diabetes patients aren't achieving what they want, and that's all about their glucose control," Jake Leach, senior VP of research and development at glucose monitoring system maker Dexcom, told us. "So if we can provide them with better information to make better decisions on managing their diabetes, I think we can get some of these better outcomes that are going to ultimately reduce the cost of managing diabetes." While we might have to wait some time for a built-in glucose tracker it seems, Apple has been trying to make it easier for its smartwatch to play nice with existing trackers thanks to the recent addition of native core Bluetooth support, which was introduced in watchOS 4. The software feature lets Watch users pair things like tennis trackers from the likes of Zepp and Apple said it will offer integration with Dexcom's glucose monitors, which gives the Watch another big string to its bow. 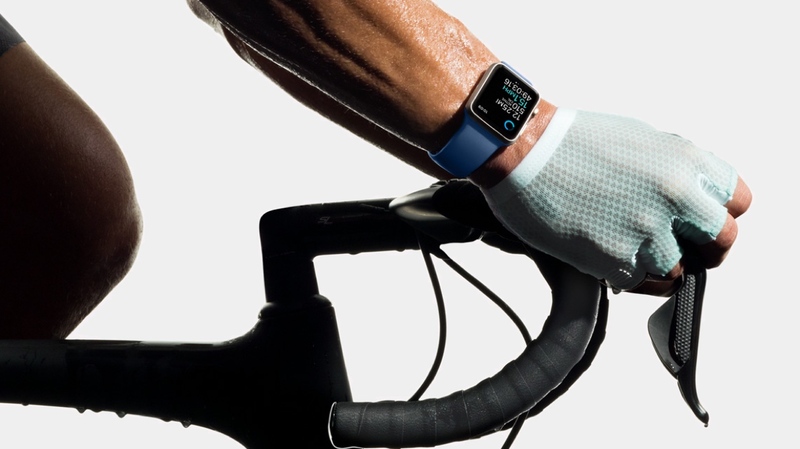 Users could already connect to Dexcom devices with watchOS 3, but with the new update it will provide that information continuously, meaning users won't have to keep pulling out their phone. It's not the native tracker we've been hoping for, but it's another notable step to making the Watch an interface to our health data. If Apple could one day offer a non-invasive, medically accurate glucose monitor into the Apple Watch - or another wearable - it would have a device that's an essential for millions of people around the world. For now, it looks like we are going to have to live with the increased third party tracker support and hope Apple is still working hard on making the Watch feature a reality. I have been a type 1 diabetic for 34 years. I am fortunate that I am still healthy. This breakthrough would help make alot of diabetics' lives easier.